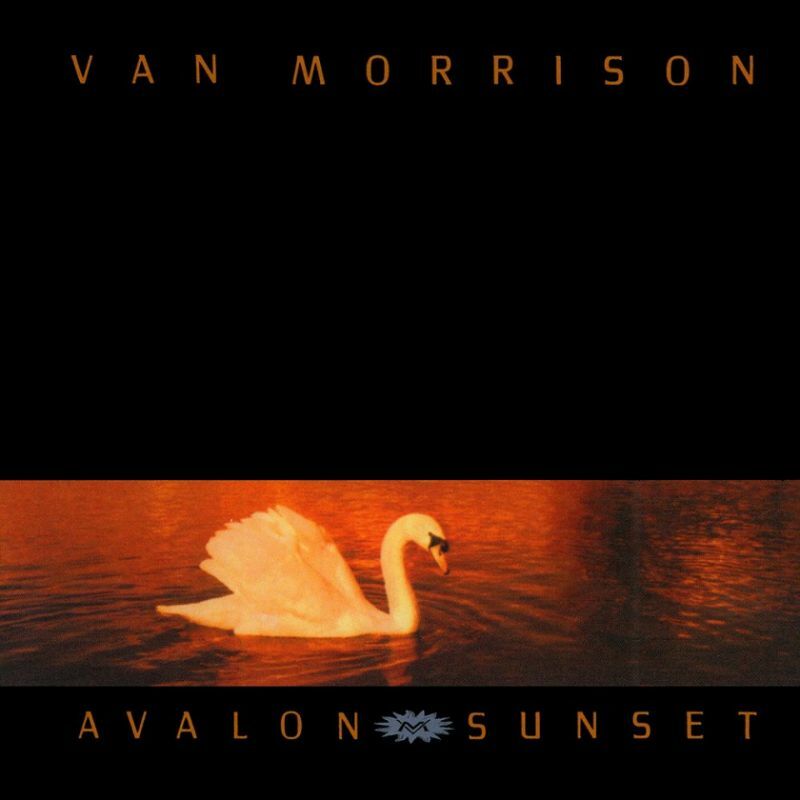 Avalon Sunset is the nineteenth studio album by Van Morrison, it was released May 19, 1989. It is one his finest! It is not on Spotify, but let us go through the album song by song. The album opens with “Whenever God Shines His Light“, issued as a successful single that charted at #20 in the U.K. and was a duet with Cliff Richard. “Contacting my Angel” is actually about a woman’s presence not the more heavenly kind. On “I’d Like to Write Another Song” the singer conveys a feeling that writer’s block seems to make living not worthwhile and makes a subtle joke by saying if he could only write another song: “In poetry I’d carve it well / I’d even make it rhyme/” but then doesn’t by pairing it with “mind”. The album contains the religious ballad “Have I Told You Lately“, which became a hit single for Morrison, reaching #12 on the Adult Contemporary Charts and was a bigger hit for Rod Stewart (who was born in the same year as Van Morrison, 1945) in 1993. Often thought to be a romantic ballad, a quick listen to the lyrics confirms that this song, in common with many on this album, is actually a love song to God. This song was again released on Morrison’s 2007 album, Van Morrison at the Movies – Soundtrack Hits. “Psychologists will tell you that artists have to be in a state of despair before they can produce great work. But I don’t think that: it just feels better, because you think that, although you’re depressed, you’re going to come out of it with something. The song “I’m Tired Joey Boy” has a pastoral setting and was originally written as a poem, Morrison has said. On a later song “When Will I Ever Learn to Live in God” the certainties of faith are questioned. The song “Orangefield” takes the singer back to schooldays and falling in love for the first time with an idyllic female that Brian Hinton compares to Beatrice in the Divine Comedy. It has often been said to be Morrison’s most spiritual album, but contains songs exploring more earthy pleasures such as “Coney Island” and “Daring Night“. “Daring Night” is explicitly sensual with words of “And the bodies move and we sweat/And have our being/” and was originally recorded as an instrumental for the album Beautiful Vision. The album closes with “These Are the Days” which finds the singer lost in the moment with words of “There is no past, there’s only future; There’s only here, there’s only now”.